Abhay (Abe) Vadhavkar is Director of Materials & Manufacturing Technology (MMT) at the Center for Automotive Research (CAR). 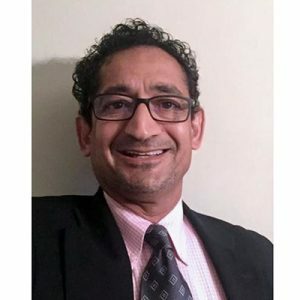 He has over 30 years of experience in automotive product engineering, manufacturing engineering, systems, and processes. Abe leads the MMT group, whose research explores evolving technologies and manufacturing engineering systems, primarily in the automotive industry. Topics include powertrain, fuel economy technologies, tooling, lightweighting pathways, and product development. Prior to CAR, Abe worked at Ford in many progressive roles, including Supplier Technical Assistance (STA) where he worked with Tier 1 and Tier 2 stampers, casters, metals, instrument panels, fasteners, lubricants and others. He was responsible for ensuring that over 280 key suppliers in the US, Canada, and Mexico, had robust and capable manufacturing systems necessary to maintain pace with Ford’s program launch and steady-state production plans. Prior to Ford, he also held positions at FCA and General Motors Corporation. Abe received a Master of Business Administration at Michigan State University, Master of Science in Mechanical Engineering at the University of Michigan, Master of Science in Automotive Engineering at Chrysler Institute and a Bachelor of Science in Mechanical Engineering at Oklahoma State University.